In our new home adventure, figuring out how to avoid home repair services is a big deal. We may have found a real bargain in our home, but we still need to save as much as possible everywhere we look. Why? Because money is always tight, and we want to save on home repair services to afford things like a new couch or TV. This post is all about clogs and how you can avoid home repair services. This post is sponsored by Roto-Rooter and is our chance to help you overcome that habit of calling the home repair guy every time a little issue comes up around the house. Since we are fairly handy and prefer DIY projects, a little clog doesn’t seem like a big deal. However, it can be a huge undertaking, and we have some tips for the best at Roto-Rooter to help make it easier to manage. Stop flushing tampons down the toilet. This one is one I remember learning several years ago from a coworker that had a horrible clog in her bathroom. After calling out the plumber on that job, I remember her talking about what had caused the problem. At the end of the day, tampons are not made to be flushed. They can easily clog a toilet drain and create big issues. This is a common mistake that people make that can be a huge issue. Especially since these types of clogs are pretty hard for the average person to repair or fix. 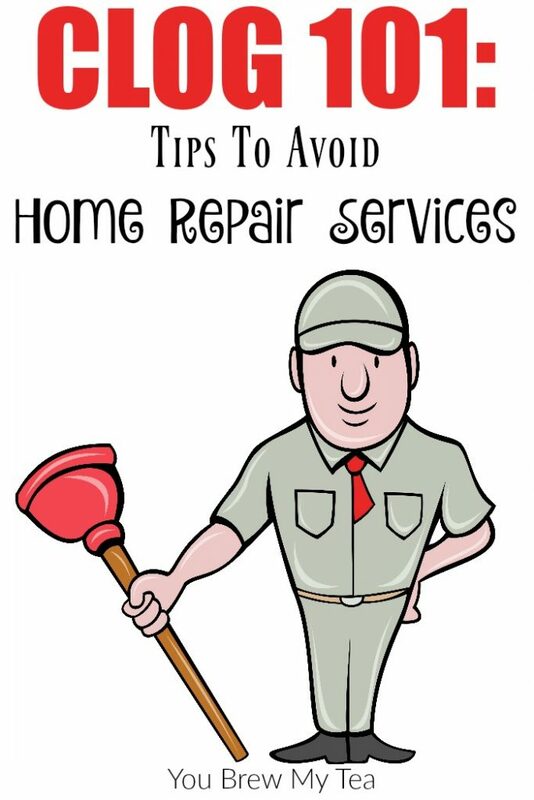 Avoid home repair services simply by wrapping that up and throwing it into the trash can. Or, as some of my friends do – use homemade cloth sanitary napkins. Regularly service your septic tank. If you live in a home that isn’t connected to a city sewer system, then you know that regularly servicing your septic tank is a must. That doesn’t mean you have to have it pumped every year, but it does mean you want a routine check done. You may also find that using Roto-Rooter products to help with septic tank health can be important. They offer a full line of products that can really help the breakdown of sewage safely. Invest in a garbage disposal. One mistake people make is trying to shove food down a regular drain. This often creates temporary clogs that then become big issues. For a moderate amount of money, you can invest and install a garbage disposal in your kitchen sink. This can, in fact, be a huge help in keeping your sink drains clear and water flowing easily. Regularly clean hair from drains. All of my life, I have heard complaints about the hair clogging the shower drain. With long hair, it is much more common, and it is a weekly cleaning process to remove hair from the shower drain. It isn’t a fun job, but it is a necessary job. One of the most common reasons for home repair services in plumbing is to remove a clog in a drain caused by hair and soap buildup. Between the shampoo, soap, body wash, and hair it can easily create a yucky mess that sits in a drain and keeps water from flowing. Take the time to clean out the shower and remove hair when you notice so it doesn’t contribute to the clog issues. These tips for avoiding home repair services in regards to clogs and common plumbing issues are a great way to stay ahead of the game. They keep you and you budget intact, without frustrating last minute phone calls to have an emergency plumber come out for a pesky clog in your drain. 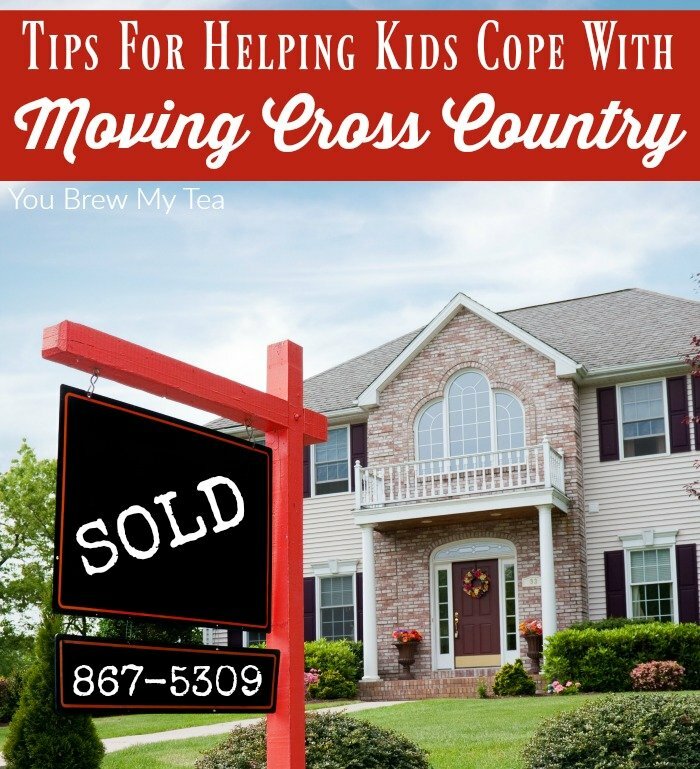 Moving cross country into a new home is exciting for both kids and adults. Usually, kids feed off of the excitement of the adults. My kids were so excited the last time we moved, probably because of the fact that my husband and I were overly elated. Even though our move was just a short distance away, I wanted to share how you can help kids manage to move to a new home. We have moved 3 times in the past 4 years. Just recently, we settled down and bought our own home. Katie is in the process of a much longer move (closer to me too – yay! ), but the principles are definitely similar. There are many things you can do for your kids to help make this new home transition easier to manage. Check out our tips below! 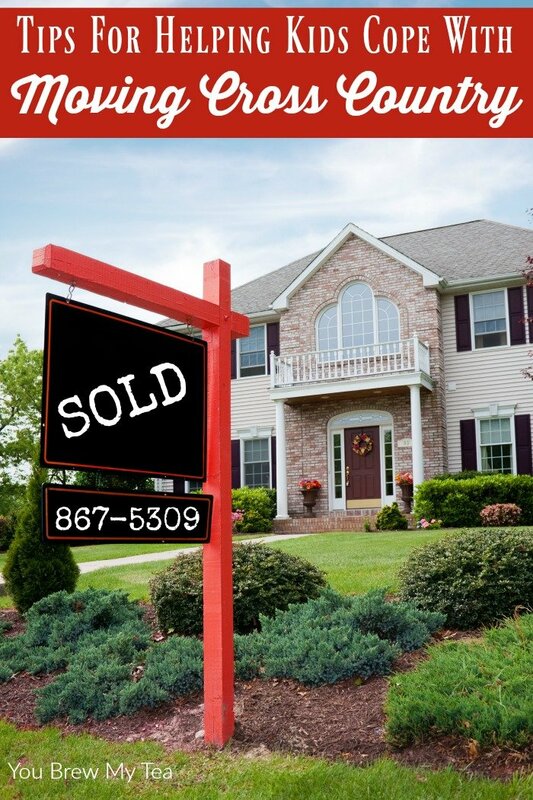 One way you can help your kids manage to move into a new home is by talking to them about it. Don’t surprise them with anything, especially when moving cross country. Be open and honest and let them know the play by play. You don’t need to tell them the stressful stuff. But you can talk about when you will be moving and where. Getting them use to the idea is vital to their understanding and ability to accept this change. It is easy to think that kids are annoying during a big move, but it doesn’t have to be that way with your kids. In fact, you can allow them to help on moving day. Assign them chores and reward them for their hard work. You can give them tasks like cleaning up toys, moving empty boxes, or helping to pick trash up off of the floor. If you are moving cross country, you can easily get your kids things like a map, atlas, or other travel tools to let them help you navigate the trip. National Geographic makes a really inexpensive and fun United States Kids Atlas that is easy for them to use on the road. If you live close enough, visit your new house often. When we moved this last time, we visited the house as often as we could. It gave the kids a sense of hope and excitement and it let them know that the day was getting closer and closer. If your new home is too far to visit regularly, you can take some pictures and have those handy to show your kids each day. You may also want to take a video of the new home to show them. If they can get familiar with the layout of the new home, it will help them to become more comfortable on moving day. One thing about moving cross country is leaving not just your home, but friends and family behind. For may people they are actually moving closer to their family. For others, it is a move that takes them somewhere that they don’t know anyone. Let them grieve the loss of their old home, but also take the time to show them all of the great things about their new home. If possible, you can even arrange playdates or a meet and greet with local kids before the move. This helps make it seem less daunting and more exciting. Moving cross country can be a wonderful thing for most families. Doing so with kids can be difficult at times, but these tips can definitely make that process easier to manage. This, along with a lot of clear communication can make a great move happen for your family. As we prepare for our upcoming multi-state move, we know there is some basic moving equipment needed to make the process go smoothly. From helping us lift items without straining our back, to making sure things are safely packed for shipping, there is a checklist of items I think are important to have on hand. Take into consideration that this list of moving equipment is for someone who plans to do the bulk of moving themselves. Things like packing, wrapping furniture, moving items into packing cubes or moving trucks, and unloading and setting things up on their own are all covered in this list. If you are hiring someone else to do your move for you, a lot, if not all of this will be unnecessary. Our multi-state move is going to be a combination of us packing and preparing items and others helping us unload and move things. So, while we are using a moving company, all of the packing will be done by us. Once we arrive at our new home, we have help to get things unloaded and into our new home. The thing is, while I can help here on mostly flat surfaces, the lifting, and effort involved in unloading at our new home with multiple stories just isn’t something I feel would be safe for my back and current physical condition. It’s a win-win for us. We can help someone in the community earn a bit to unload things for us, and I can save my back. I recommend making a simple checklist of the supplies from this list that you need. As you prepare for packing day, make sure to have them on hand. You may think of other items to add to the list as well, if so, feel free to leave a comment letting me know what I missed. 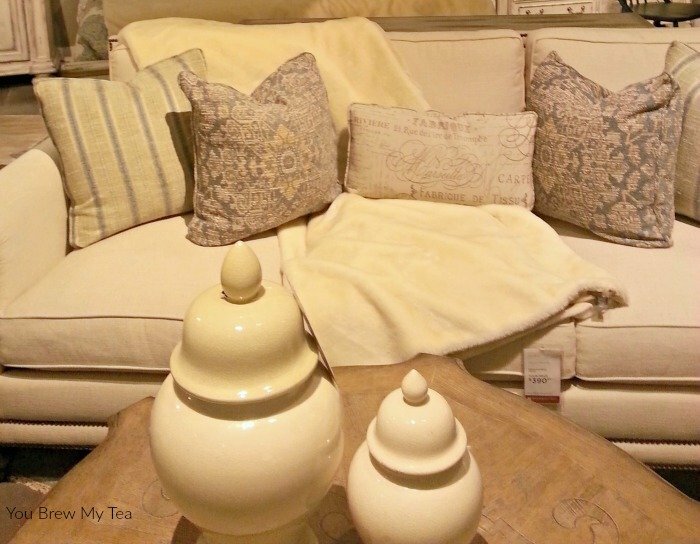 Furniture wraps or blankets. One of the things I totally forgot about until a moving company mentioned it was wrapping furniture to prevent scuffing or stains in transit. 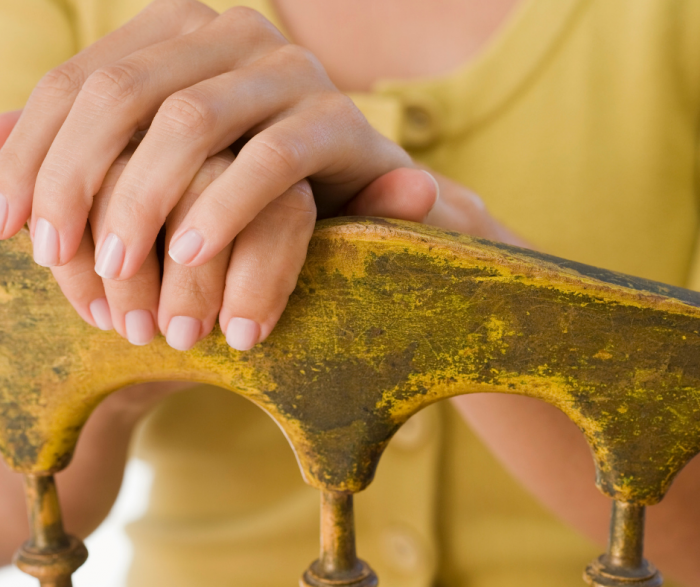 While we plan to sell or donate the bulk of our furniture prior to our move, there are some things we still want to wrap for safety. Many people simply use old blankets, towels, or quilts. This works great if you have enough. However, for some pieces of furniture, I would definitely prefer using the quality furniture wraps. There are some nice prices for bulk amounts of furniture blankets on Amazon. There are also some good deals on the plastic wrap meant for wrapping around large stacks of boxes or even large pieces of furniture. I also found both items moderately cheaper at Harbor Freight. However, with Prime shipping on Amazon it made it a bit cheaper for us. If investing, you may also want to look at using simple inexpensive blankets you can later wash and add to your linen closet. There are tons of options. Boxes made to support specialty items. Boxes are a must, but you may not think about needing heavier boxes for books, or boxes with extra thickness to protect mirrors, pictures, and flat panel tvs. These are something worth the investment. Along with the specialty boxes you may want to look for, definitely make sure you have gathered up boxes for everything in your home. While tossing things into bags works, it’s not the best or most organized method of moving. Labels, packing tape, and markers. Of course, you know that you are going to need something to label the boxes for easy recognition once you unload at your new home. There are tons of options out there that people love using. You also need to have some packing tape on hand. I’ve used every kind there is, and yes, I realize you can grab a lot of this at you local Dollar Tree. However, I find that quality packing tape is definitely worth the investment. On Amazon, they have these nice already printed moving labels that are brightly colored and labeled for individual rooms of the home. For a decent price, you can grab these and make you labeling process super fast and easy. I like these, but I also prefer being a bit more detailed. So, rather than just slapping on a kitchen label, I want it to be kitchen utensils or kitchen pantry. That helps me know where to stack as well as what boxes I will need to open first. I will most likely grab a box of cheap labels and markers to create my own labels that can be detailed yet easy to read. Bubble wrap and paper for packing fragile items. As we spent time purging prior to our move, we eliminated a lot of need for this kind of moving equipment. We have only a few coffee mugs and a handful of mixing bowls and casserole dishes that are fragile in our kitchen. I have already narrowed down my list of knick knacks and pictures, so we are limited to maybe only 2-3 boxes of items that actually need bubble wrap, newspaper, or wrapping paper for protection. You can buy these supplies online or in the office department of most retailers. You can also simply save up newspapers or ask your neighbors for their old newspapers and wrap fragile items in a free and easy to find product instead. I have also heard that using wine boxes from your local liquor store is a great way to keep cups and glassware safe in a move. Dolly or moving cart. If you have any furniture or appliances to move, this is a must. A dolly or moving cart can make a huge difference in how much strain you put on your own body in the process of a move. Most moving trucks will come equipped with this moving equipment, but since they are relatively inexpensive to buy at Harbor Freight, Sears, Amazon, or Lowe’s, I recommend you grab one to have on hand. It will be especially handy if you decide to rearrange those appliances after the moving truck is gone and you realize they don’t fit just the way you thought they would. Tie down straps, rope, or similar items. These little items are not always as necessary when using a moving truck or a moving cube. They are, however, a good idea to have on hand just in case. Tying things down can definitely prevent them from knocking against each other in a move. 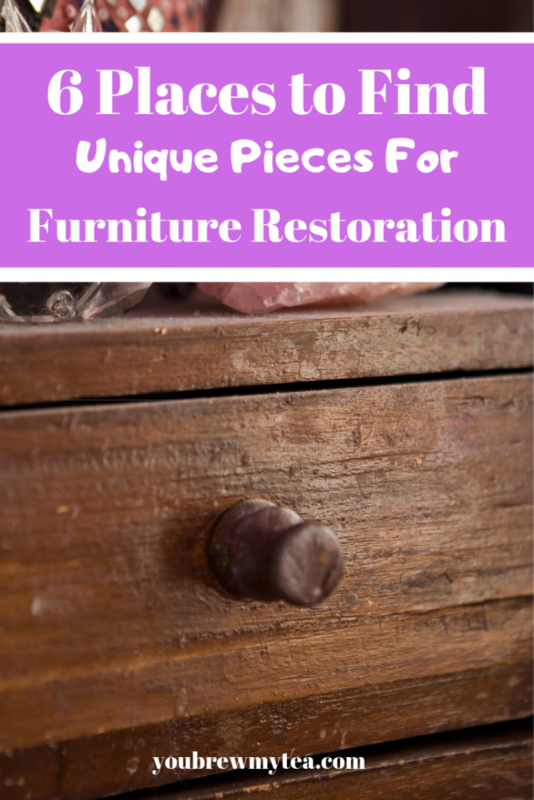 Nobody wants to arrive at their home and find broken mirrors, scraped furniture, or torn items. Many moving trucks include these in providing moving equipment, but it never hurts to have extra tie down straps on hand to secure your belongings. 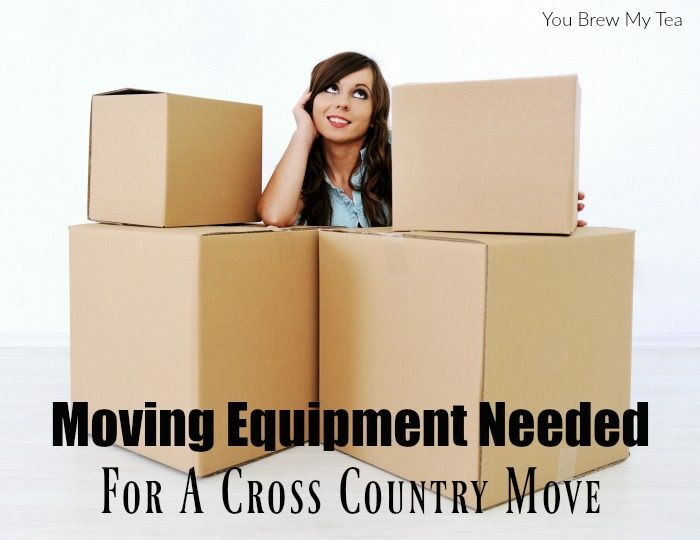 I hope this list of moving equipment needs will help make your next move easier to manage. As you can see, we are learning as we go with this process. Although we have both moved several times in the past, there are always new things to consider. Make a list and double check for all moving equipment you might need to make your next move go easier. If you’ve been around here much lately, you already know we are about to make a major move. However, sometimes families find renting a home is the only option they have. In fact, we looked into rentals as a place to stay between our current home and the new location we plan to move. 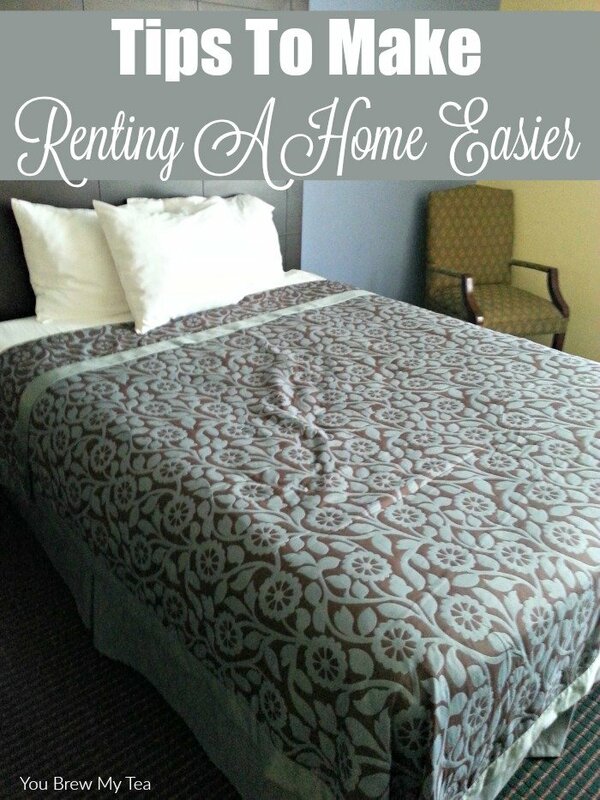 Rentals come with their own list of frustrations, so I thought I would share some tips for making that easier to manage. As you probably know, many families, but especially military families, find themselves in a place of sudden moves without a lot of time to plan. Knowing they won’t stay in one place for long, can be tough when planning how to have everything needed to create a home. These tips are a great place to begin whether you are a military family on the move, or just a family in between permanent homes. Store the bulk of your belongings. This may sound odd, but the truth is a rental situation means you don’t plan to be there for long. For many families, that means you will be staying in one place only a few months or a few years at a time, but it won’t be your forever home. Instead of paying multiple moving fees, find a quality climate controlled storage unit in a central location. Store your larger belongings, and precious mementos and heirlooms there until you are at your permanent residence. This saves you money, frustration, and keeps things safe. Use Furniture Rental: One of the biggest expenses and frustrations about moving is making sure you have your furniture at your new location. If you are going to be somewhere for just a few years before settling into your forever home, it can be very costly to move furniture multiple times. Usually, you end up paying 2-3 times to have the same item moved because you can’t fit it in the back of your car. 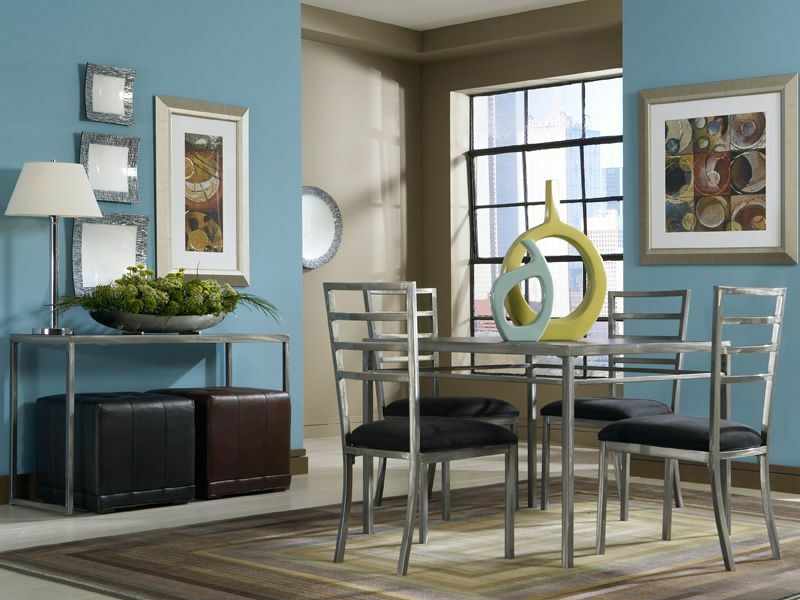 CORT Furniture Rental is an ideal option for any family looking for rentals. Not only do they have amazing quality furniture, but it is convenient to many locations and affordable. With military packages starting at only $139 a month, it is a very affordable way to have your beds, couch, chairs, and tables just like you want them, without paying huge moving expenses. To get the military discount, you do have to show your military ID. However, non-military families will find the convenience and affordability of choosing to rent furniture ideal for any move. Rent locations with appliances included. One of the best tips for saving money while making it easy to manage is to rent apartments or homes that have your appliances included. Not having to transport or buy a washer and dryer or stove, refrigerator and similar items can be a huge savings for a limited budget. It also makes it much easier to manage and a lot less hassle if you are moving with kids in tow. A huge bonus to this is that landlords are often responsible for replacement or repair! Hire a moving helper. I can’t begin to say how much this will help in organization. Even if you just spend a few dollars on pizza to have a neighborhood teen come watch your kids while you pack or unpack, it is a great idea to have a little help to keep you on track. Renting a home means you are often settling for a home that is smaller and more difficult to organize for families, so having that help can lead you in the right direction to making sure you have everything orderly. These tips for making renting a home easier are ideal for making sure you and your family are able to make that needed move easily, without frustration or a huge dent in your budget.